If you want to give for your coustomers ability to share and like your shop or products on Facebook - this module is the best way to do it. With our module your website will be looks awesome on Facebook Wall. 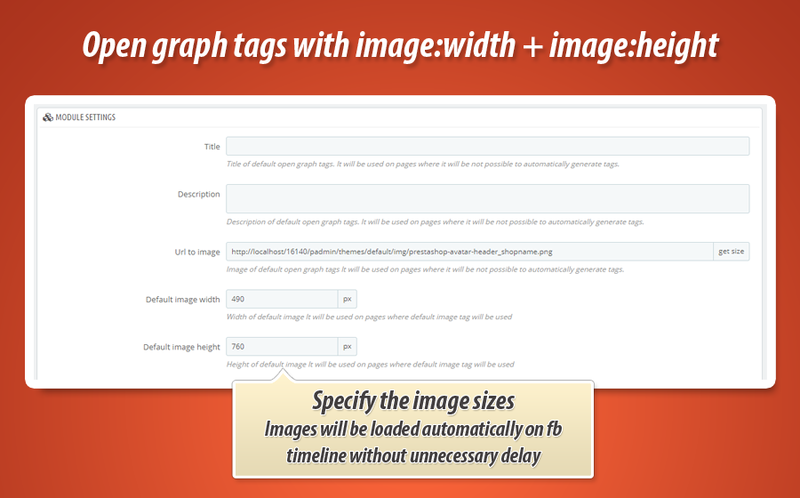 Module generates Open Graph tags which are the most important thing in integration with Facebook. 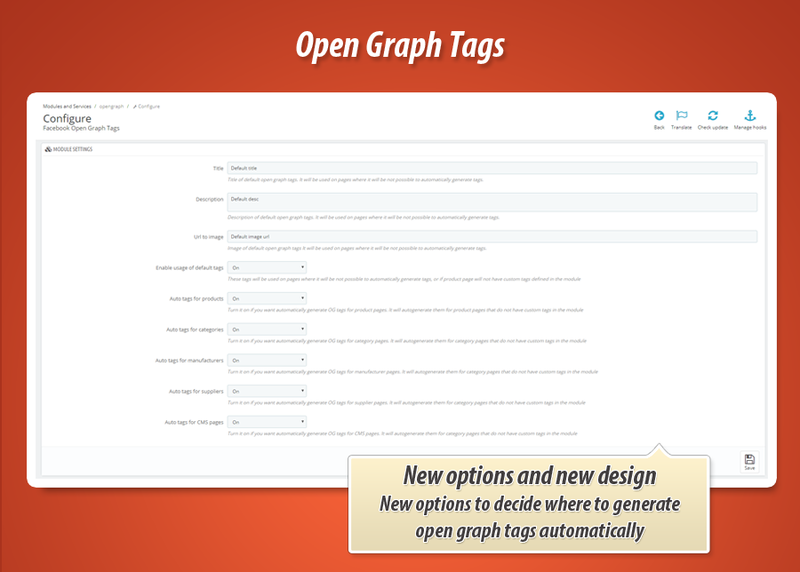 As we said, this module is awesome tool for adding open graph tags into your shop pages. Module adds different tags based om META or page content - for each pages of your shop. With this module your products will be look awesome on your customers Facebook Wall (just take a look into screenshots section). On main module configuration page you can configure the module and define default open graph tags. 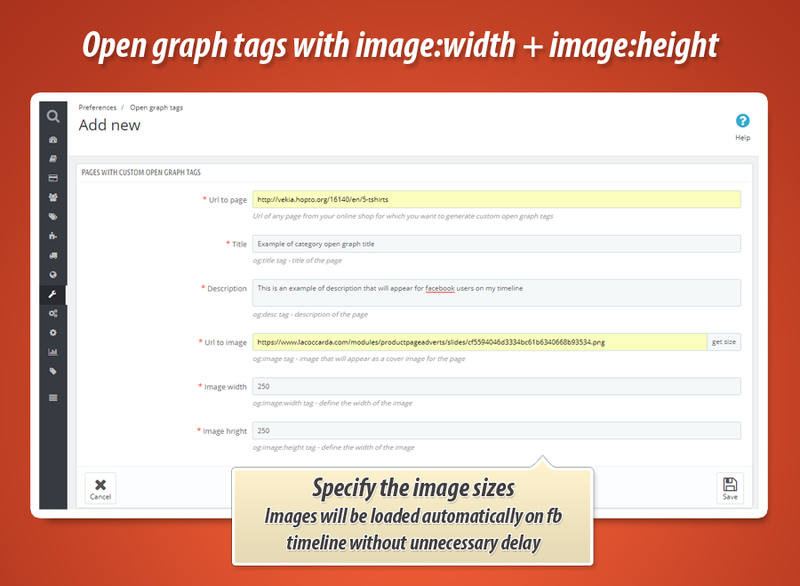 Default open graph tags will be used on pages where it is not impossible to generate tags automatically. 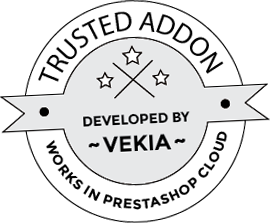 If some pages within your shop will have custom open graph tags module will not use default open graph tags and will not autogenerate tags. It will use custom tags you defined. 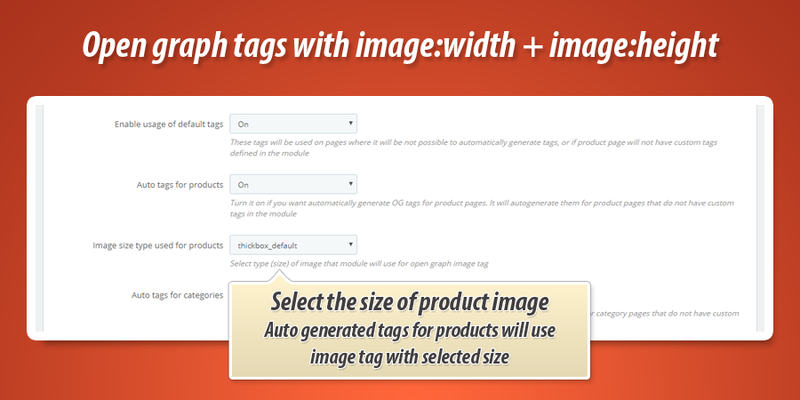 Module generates Open Graph tags for Special pages New products, promotions etc. You can create custom unique open graph tags for selected pages. 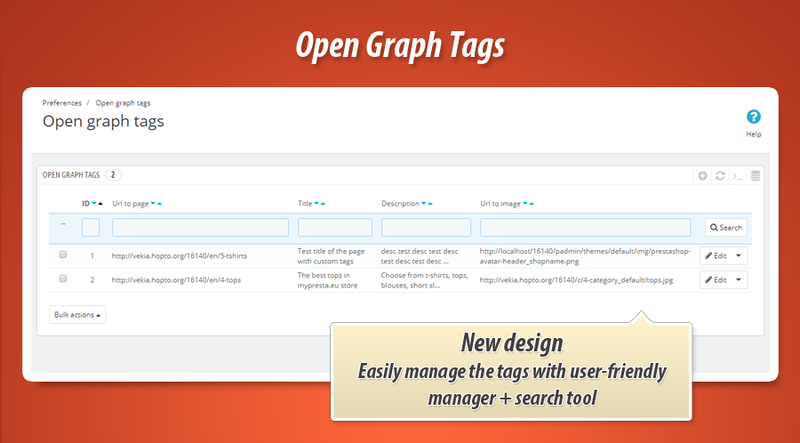 You can define for any kind of url from your page open graph tags. If some pages from your shop will have these kind of tags, module will not use default og tags for this page and also it will not generate tags automatically. Module will just use tags you defined manually.